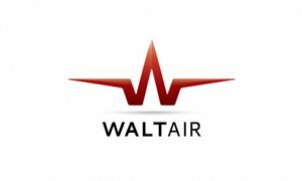 Welcome to WaltAir We have been providing top-quality air charter, cargo and ambulance flights since 1994. Today we are the preferred choice for many international brokers as well as for businesses and private clients. In a nutshell we’re in the business of smoothly moving people and goods between destinations by choice of our customers – saving time and creating efficiency. In order to accomplish this we focus strongly on four aspects that we believe are the foundation of quality travel: high safety standards, uncomplicated flexibility, dedicated service and time efficiency. Our connection with Mr. Walter H. Beech… From the founding of WaltAir until present the cornerstone of our fleet has consisted of reliable, high quality Beechcraft airplanes. In fact the company name is an homage to the name of Beechcraft Industries’ founder, Mr. Walter H. Beech. In 2001 we broadened our fleet with a Cessna Citation jet aircraft, which our customers were very happy about. We found that a mixed fleet with both turboprop and jet aircraft is a winning concept and our clients often make use of the possibility to fly turboprop on shorter trips and jet when flying farther. Despite the change of concept our company name remains the same – nowadays a quality mark of it’s own.